ComeOn is considered to be a newcomer to the sportsbook industry because it was launched in 2009. Nevertheless, the bookmaker has managed to make a name for itself in a relatively short time since visitors will find exactly what they are looking for here. Moreover, the sportsbook puts emphasis on transparent terms and conditions. The company is based in Malta and licensed by the UK Gambling Commission. With a full selection of sports, the sportsbook entices new customers to join with a simple ComeOn Bonus offer. Our ComeOn review will examine various features of the bookmaker. What methods of payment are offered? Are there any other offers for existing customers? Is the bookie safe and reliable? Let’s take a closer look. Sign up and place a bet with a minimum odds of 1.80 and you will receive a 10 GBP free bet. Get an odds boost on selected games – every week! Join the Free Bet Club and get up to 25 GBP Free Bet every week. Opt in now! Withdraw your bet before the game is over in order to minimize losses or secure your profits! Even though ComeOn has only been on the market since 2010, our ComeOn review found out that it already has more than half a million registered users. The online sportsbook was founded by Daniel Bradtke and Gabriel Vollmann, who both worked as executives for the Scandinavian bookmaker Betsson for many years. 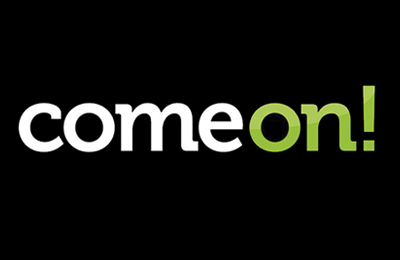 ComeOn belongs to Co-Gaming Limited and is based in Malta. As such, it is registered there under the laws of the European Union and the Malta Gaming Authority. In addition, British punters will be glad to know that the bookmaker is also licensed by the UK Gaming Commission. Due to local laws, residents of United States, France, Turkey, Spain, Hungary, Romania, and Portugal cannot join ComeOn. For new customers of mainland UK, ComeOn offers a welcome bonus in the form of a 100% match-up free bet of 10 GBP. Of course, this offer is only valid for customers that are 18 years or over. In order to obtain this ComeOn bonus, you simply must register and deposit a minimum amount of 10 GBP into your betting account. There is no promotional code to be entered. However, you must make sure to opt for this promotion during the registration process or select the promotion in the “My Bonuses” area when logged in. The qualifying 10 GBP-bet must be placed at minimum odds of 4/5 (1.8) on any sportsbook market. This requirement must be fulfilled within 14 days of opening the account. Here are some detailed instructions provided by this ComeOn review. The steps should be followed carefully to make sure that you will be able to obtain the ComeOn bonus offer. Step 1 – Registration: Click on the “Not a member yet? Sign up today!” button at the centre top of the homepage. A registration form will pop up in the middle of the screen. Fill in the required account details (username, password), then continue on to enter personal details. The third step is where you can opt for the 10 GBP free bet offer. Step 2 – Making a deposit: In order to fulfil the ComeOn bonus conditions, you must first make a deposit of at least 10 GBP. To do so, please select your preferred method of payment. Note: Skrill, Moneybookers, Neteller and Paysafe are excluded from this offer. Step 3 – Fulfil the free bet bonus conditions: Within 14 days of opening your account, place a £10 bet at minimum odds of 4/5 (1.8) in any sportsbook market. Each way bets do not count as qualifying bets. Step 4 – Use the free bet: You will receive a 10 GBP free bet token within 24 hours of your qualifying bet being accepted. You have 30 days to use your free bet on either single bet or multiple bets and there are no minimum odds. The ComeOn review also examined other offers made to new and existing customers. Since competition is fierce, the sportsbook has a variety of promotions to entice customers not only to join but also to stay at ComeOn. One of these offers is the ComeOn ACCA Boost. Here punters have the possibility to obtain extra bonuses on winning accumulators, up to 30% in cash. Thus your bonus can be withdrawn as well. Furthermore, ComeOn has a Free Bet Club. By joining this club, members will get a ComeOn Free Bet worth up to £25 every week. One requirement is that combo bets must be placed at minimum odds of 2/1. During our ComeOn review, we took a closer look at the range of sports and events covered by the sportsbook. The selection of sports is quite wide and includes traditional sports like football, horse racing, tennis, hockey and basketball. What is more, you can also find a large variety of bets for less common markets such as futsal, beach soccer and volleyball or even table tennis. Leagues that are less popular are present at this bookmaker like the Czech handball league. There is also a small selection of e-sports (Counter-Strike, League of Legends…). The In-play section is pretty good for punters who enjoy betting on live odds. On a daily basis, you can find live odds for football, tennis and ice hockey among others. Unfortunately, ComeOn does not offer live streaming, which is a disadvantage in comparison to other major bookmakers. Even though ComeOn does not offer any “Best Odds Guarantee” like other sportsbooks, the ComeOn review found that the available odds are rather competitive. In general, the average payout ratio is at about 93 to 94%. This means that for some sports highlights, the odds are definitely higher, with a payout key rising all the way to 97% sometimes. In addition, your winnings get you “bonus points” which give you the chance to “buy” free bets from the ComeOn shop. Although the sportsbook is rather new to the online betting business, it already has quite a large selection of sports that punters can bet on, and not just the traditional sports. The bonus offer is not extremely high, but it is simple and the terms and conditions are concise. This is much appreciated by a lot of bettors. A negative aspect of the bookmaker though is the fees that are charged for some deposit options. Maybe this will change as time goes on. You can definitely feel safe while betting at this sportsbook. Nevertheless, our ComeOn review conclusion is that there is still some work to be done here, especially concerning the customer service and live streaming. Similar to other online betting providers, ComeOn offers a variety of deposit and withdrawals options: Debit and credit cards, e-wallets, bank transfer, etc. There is no fee for using your debit/credit cards or Neteller for depositing money. However, a fee of 5% is charged for deposits made via Skrill and prepaid cards. The minimum deposit amount is usually 8 GBP, but this may change depending on the exchange rates. Step 1 – Go to the banking section of your account: Once you are logged in, go to the cashier section and click on deposit. Step 2 – Select the desired payment method: Choose the payment method that you prefer and fill in the chosen currency and deposit limit. If any fees are involved, ComeOn will indicate those at this point. Step 3 – Transact: Complete the form. Click on deposit. Your money should be available right away in most cases. Whether you have already verified your identity upon registration or when depositing, ComeOn may ask you to go through this process again when you withdraw your funds. According to our ComeOn review, this is especially true if you wish to withdraw with a different option as the one used for depositing and also when the amount is significant. Withdrawals can be made via credit cards, e-wallets and bank transfer. You are entitled to 2 free withdrawals within 30 days. The minimum amount for withdrawals is 10 GBP. Unlike most online betting services, ComeOn does not offer telephone support. The live chat normally responds within 32 seconds and is quite competent, but it only operates from 8 am to 9 pm GMT. No e-mail address is offered either, although there is a contact form that can be used directly in the help section of the homepage. In general, e-mails are replied to quite promptly. Once again though, this service is not 24/7 but only available from 8 am to 9:30 pm GMT. For those reasons, our ComeOn review finds that the customer service is not sufficient, especially for players who play beyond office hours. ComeOn is present on Twitter and Facebook. Sports news and fact are published there, as well as some special offers. In fact, one of the promotions offered during the ComeOn review gave bettors the chance to win up to £100 in free bets. In order to participate, you have to write a message to ComeOn on Twitter or Facebook with your match score predictions on selected European matches. Reliable or scam: How safe is ComeOn? ComeOn uses SSL technology to encrypt all data and it complies with the security standards of the Payment Card Industry. Therefore, punters should feel safe while betting at this sportsbook. In addition, the online betting provider is licensed in the UK and is based in Malta, so it must fulfil strict requirements to keep the licences. Moreover, this ComeOn review noticed that the bookmaker is committed to “responsible gambling”. This means that policies have been put in place to help punters control their gambling and also to give advice in case someone has problems. What documents are necessary to verify my identity? All players are required to submit a proof of identity and of address. Documents proving your identity are: Passport, Driving License or other official Government issued ID card. Documents proving your address are: UK driving licence, a utility bill, a mobile phone bill or a bank statement. There is no voucher code necessary when you go directly to the ComeOn website to register. You just have to make sure that you opt for the 10 GBP Free Bet welcome offer when you complete the third page of the registration process. ComeOn will give you one free bet as a match deposit of £10. Is there a ComeOn mobile bonus? Yes, there is. The ComeOn mobile offer consists of a first deposit bonus worth up to €10 as a free bet. How long does it take to withdraw my funds at ComeOn? Withdrawals are usually processed within 24 hours, sometimes even faster. This may take longer depending on the method of payment. If you are using a desktop computer, then you will be able to see that the payout process is “in progress”. Before the withdrawal has been sent, you still have the possibility to reverse it. Since accounts have to be verified, you will be asked to submit certain documents before being able to withdraw your funds. When players complete certain tasks, they are given ComeOn Points by this bookmaker. For instance, points are awarded for making deposits, placing certain bets, logging in, etc. Once you have logged in, you can see how many points you have accumulated at the top of the page and you can buy free bets in the sportsbook shop with those points.